Summary: With so little actual ‘new’ content on display here and a story that ends up being little more than a fart in the wind in terms of the Destiny mythology, there’s little to recommend here even for players desperate for reasons to jump back into the game. 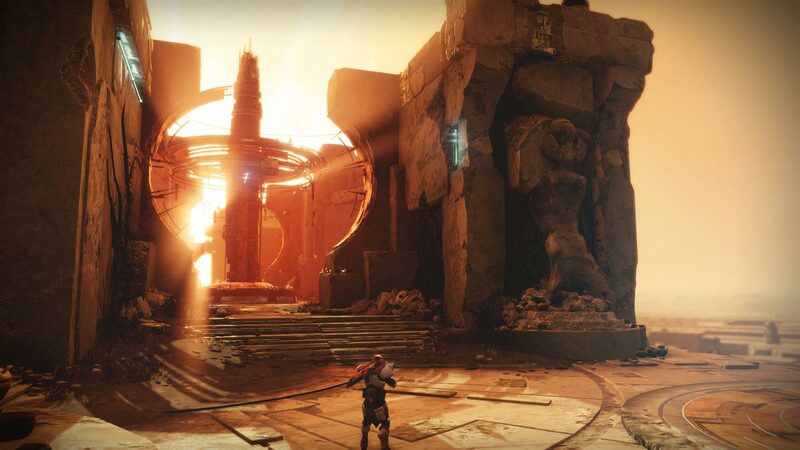 I don’t think I’ve changed my opinion about a game in as little time as I have with Destiny 2; although initially excited by the heavier focus on narrative during my time with the campaign, upon reaching the endgame I quickly found that the feedback loop that kept so many players invested in the first game for such a protracted period was almost entirely absent in the sequel. In retrospect, I’d probably dial the final score back to a 7 or so. 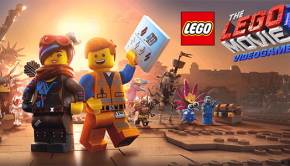 Admittedly I quickly discarded the first game as well but for years after its release I would see my friends list populated by people who were pouring hours and hours into getting that ever-elusive top loot. With Destiny 2, my friends list became a barren wasteland within three weeks after launch, with the honeymoon period apparently well and truly over. 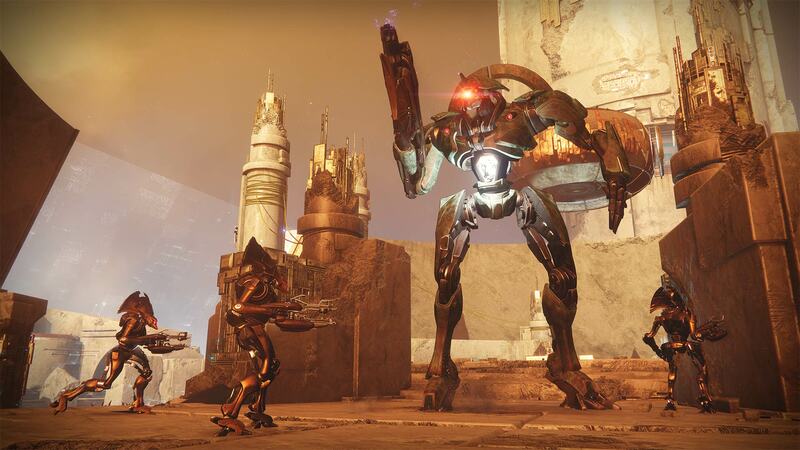 Factor in the reveal that Bungie had been tweaking the ratio of XP, paring down the values depending on how long players had grinded through events, and the backlash from the fan community has been almost palpable. 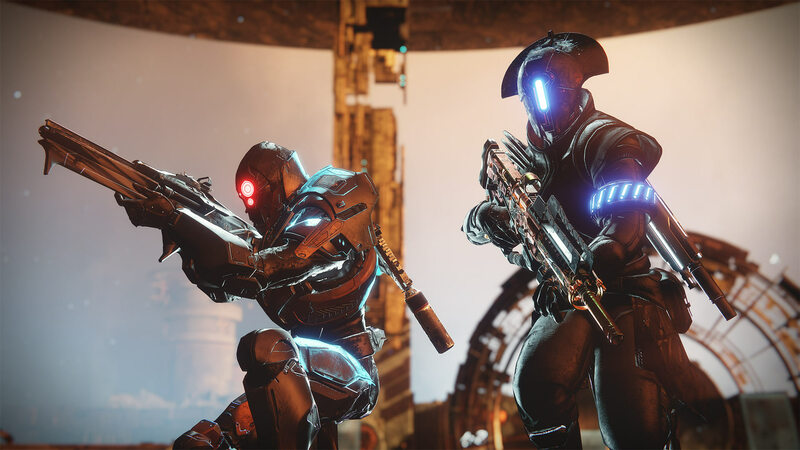 With more scrutiny upon them than ever before, Bungie have scrambled to make major changes to how the game works, as outlined in their recent community posts, as well as quickly pumping out the Curse of Osiris, the first DLC expansion for Destiny 2. 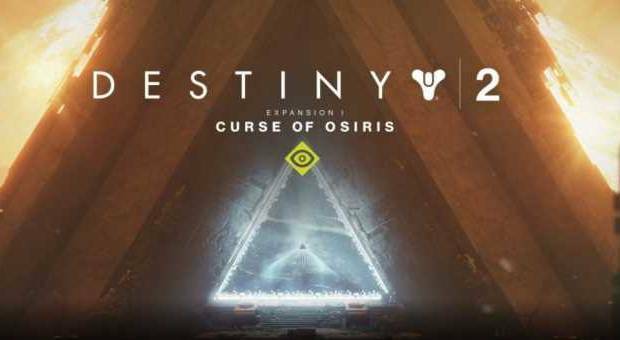 Unfortunately, I’m dubious as to how much good will the Curse of Osiris will foster, as it seems to share a lot more in common with the first game’s incredibly disappointing The Dark Below expansion rather than the more well received Taken King and Rise of Iron DLCs. 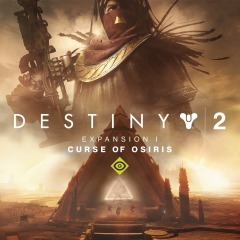 Even more importantly, the Curse of Osiris being released has now made it impossible for players to complete the trophy list without owning the DLC; by increasing the power cap and levels needed to access certain missions, players have no choice but to pony up for the DLC if they want to play content that should still be available to them in the base game… It’s not exactly the best way to go about things, to say the least. 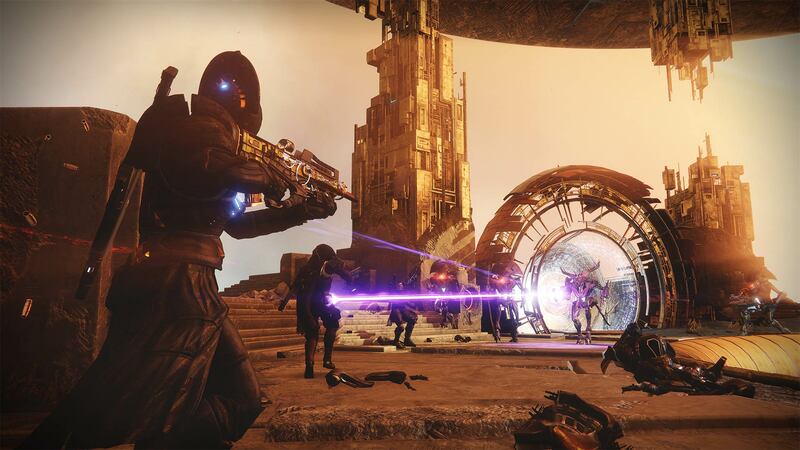 So, since you’re pretty much forced to grab this if you want to participate in the Leviathan Raid or the prestige strikes, is the content you’re getting for your hard earned dollar worth the extra effort? Well, first up you have a new location in Mercury, which is visually interesting but also seems to have a much smaller area open for exploration than the planets in the base game. The new story expansion sees your guardian jetting off to Mercury after the events of the main game in order to quell an alien threat… So far, so generic. Encountering the legendary titular guardian makes for some entertaining moments but on the whole the story is short and, ultimately, fairly bland and repetitive; some missions even copy and paste elements from missions in the base game, making the entire experience feel lazy and rushed, clocking in at just over two hours. There is an in-game explanation for the reuse of assets in the simulation dubbed the Infinite Forest, which merges together myriad possible timelines and sounds really awesome in theory but the reality is that, like much of the expansion, everything just boils down to being a slightly different shooting gallery than the previous encounter. There are two “new” strikes, but more astute readers are surely already questioning the presence of those quotation marks and the caveat they imply. 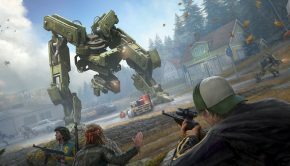 The catch here is that, if you’ve played through the campaign first, you’ll have already experienced them as missions. Yep, the strikes are essentially slightly beefed up variations on missions you’ve more than likely already ran through… Total weak sauce. 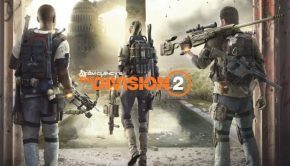 Aside from small additions such as new ‘Masterworks’ variations of weapons being available and the requisite cosmetic items, players can also tweak the look of their armor sets by completing tasks in-game or take part in a kind of ‘raid-within-a-raid’ which again just reuses the environment from the first major raid. 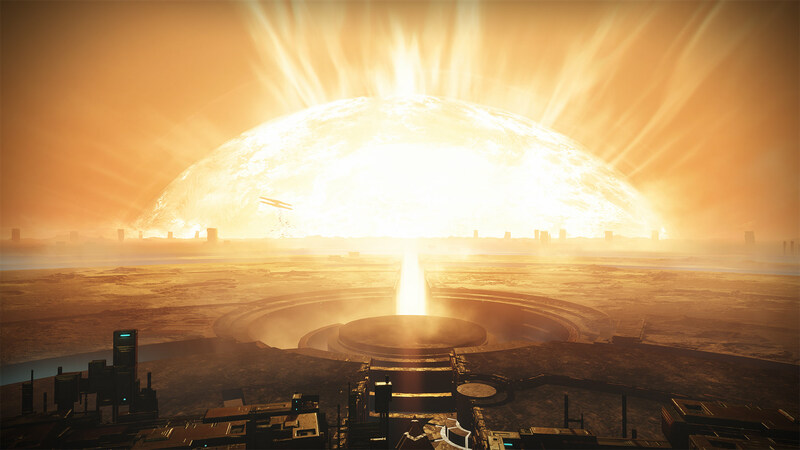 Overall, Curse of Osiris just feels like Bungie are treading water and taking the easy way out in order to churn this expansion out so soon after release. 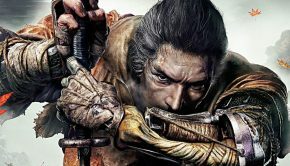 With so little actual ‘new’ content on display here and a story that ends up being little more than a fart in the wind in terms of the Destiny mythology, there’s little to recommend here even for players desperate for reasons to jump back into the game. 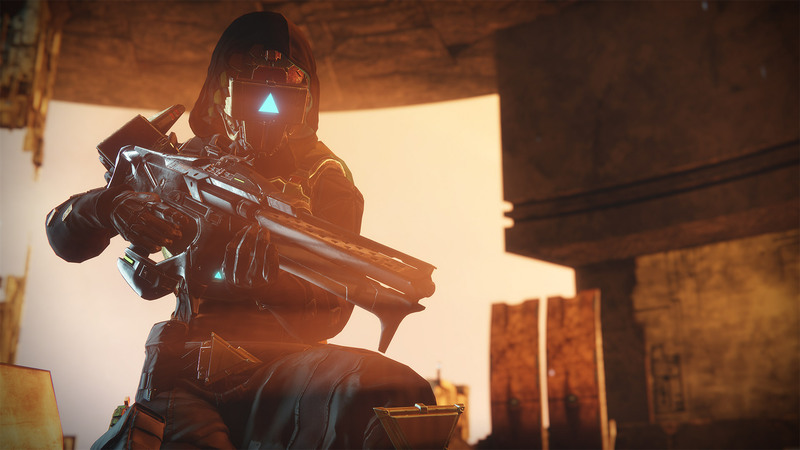 Of course, if you want to play certain other pieces of content, you’ll have to pick this up anyway, so chances are most players will eventually grab this at some point or another… It’s just a shame that Bungie couldn’t actually have made this expansion something halfway worthwhile rather than appearing to rely on locking players out of base game content in order to alleviate the fact that the content they’re selling is woefully underwhelming.